What is an architectural BLIND DATE? Architectural blind date is a discussion and match making event. The event focuses on a topic and reflects it in terms of architecture, urbanism, design, landscape architecture, urban sociology. We aim to have an interactive talk with our “blindies” and the audience to make sure that with the participants the discussed topic can be dealt in many layers and that all participants at the event can take new insights. This video is a compilation of the first Blind Date Series in 2011. Would you like to join the series? Please do not hesitate to contact us. Blind Date Series 2011 from wonderland architecture on Vimeo. Blind Date offers young architects, landscape architects, urban planners and designers the opportunity to exchange ideas and present their involvement in current trends and developments in the field of architecture and urbanism. The event takes place in the context of a single interactive evening with the participation of minimum two teams. New ideas emerge and mature in common discourses, new methods are discovered and the network of young creative artists is extended. Since 2011, Blind Date has been hosted in the cities of Vienna (AT), Kaiserslautern (DE), Cluj (RO), Paris (FR), Mannheim (DE), Amsterdam (NL), Berlin (DE), Kiew (UA), Milan (IT) and Ljubljana (SI). 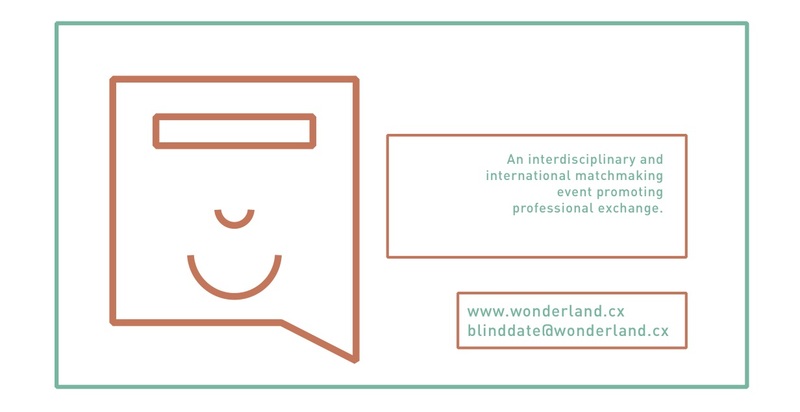 Wonderland is continously searching for partners, who want to host blind dates or have good ideas for blind dates. Would you like to propose collaboration or topics?